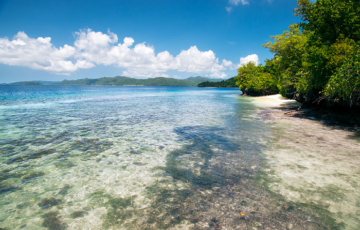 Private bungalows and a beautiful, calm beach in front of jungle rich with birdlife. 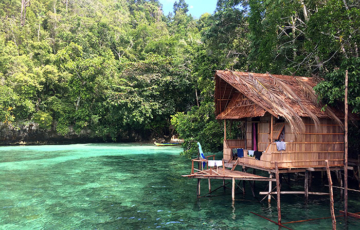 A perfect quiet retreat and great base from which to explore Kabui Bay. 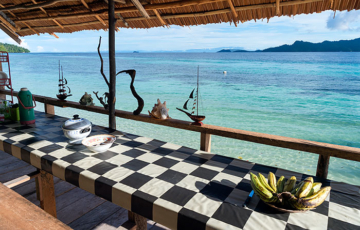 Yengkawe Homestay offers private over-water bungalows, a crescent of white sand beach and a lush jungle setting in a secluded Kabui Bay cove near Waisai. 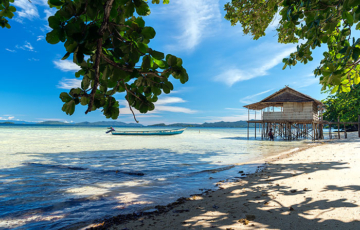 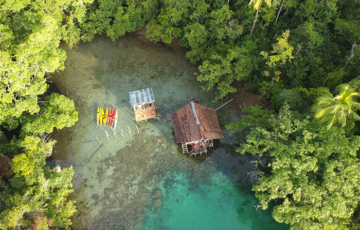 Good snorkeling, dolphins at the front door and both Wilson’s and Red Birds of Paradise out the back, Yenkangkanes’ over-water bungalow is pure Raja Ampat.